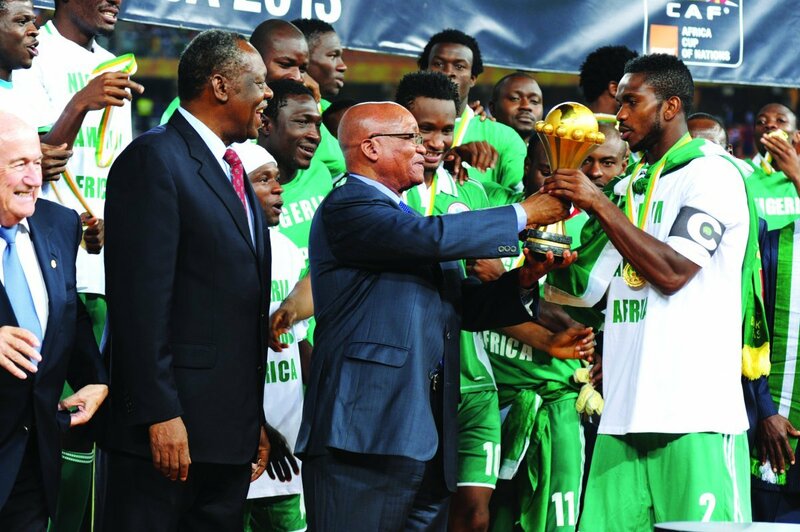 The curtain came down on the Orange Africa Cup of Nations (Afcon) at the National Stadium in Johannesburg when Nigeria and Burkina Faso duelled to decide the champion team of Africa, writes Adolf Netshiukhwi. What will remain in the memory of many soccer fanatics, on the continent, is the drama of the knockout games that unfolded: the goals, the saves, the misses and, sadly, the controversial and unfortunate refereeing decisions. That is where the human narrative of heroes and villains is written, and on that score, South Africa Afcon 2013 will probably fare pretty well. After 94 minutes of action, the Super Eagles had secured their third Afcon title by a 1-0 margin. 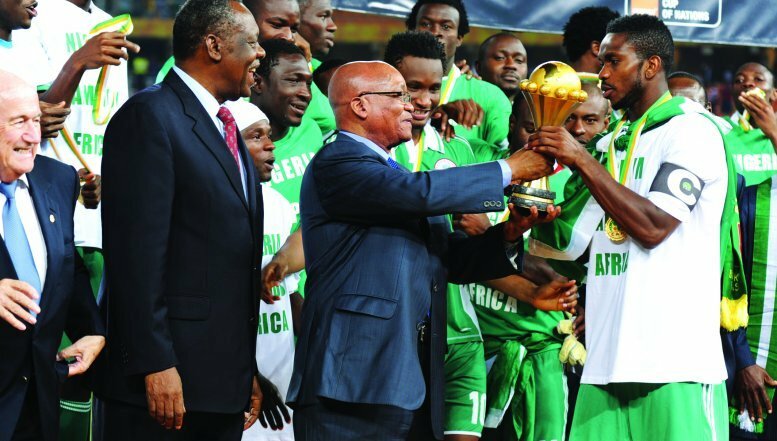 The sound of Vuvuzelas filled the air at the national stadium, excitement built and South African President, Jacob Zuma, and FIFA President, Sepp Blatter, were among soccer fans to wish the two teams well as a packed crowd of 85 000 took in the title-decider. For Nigeria, it was the first final since 2000. For Burkina Faso, it was uncharted territory. Not only were there supporters of the finalists in the stadium, but also plenty of football fans in the colours of the host nation's national football team, Bafana Bafana.It started slowly - most tournaments do - but sparked into life at the end of the group stage. South Africa found two late equalisers against Morocco and Cape Verde, and turned their game against Angola around with two goals in the final 10 minutes. Burkina Faso held out for a valiant, goalless draw against a luckless Zambia and Togo overcame incomprehensibly bad refereeing from South African Daniel Bennett to earn the draw against Tunisia that took them through. As it turned out, worse was to come from the officials.Togo's progress ensured that no North African teams made the last eight for the first time since 1992. South Africa's quarter-final exit to Mali, after playing with great rigour and determination, snatching an equaliser after being outplayed for long periods and then losing on penalties, was thrilling enough, but it’s the meeting of the heavyweights in Rustenburg that will be recalled by historians. Mali progressed to the semi-finals of the 2013 Afcon after walloping Bafana Bafana 3-1 in a penalty shoot-out at Moses Mabhida stadium in Durban. It was not the first time South Africa had been eliminated in an Afcon quarter-final match against Mali. In 2002, when Mali hosted the continental showpiece, they beat Bafana Bafana 2-0 in the quarter-finals. Bafana were the first to score through pacey striker Tokelo Rantie in the 30th minute following a brilliant combination initiated by midfielder maestro May Mahlangu and Thuso Phala. However, Bafana Bafana head coach, Gordon Igesund was forced to substitute Rantie after he sustained an injury. He was replaced by Lehlohonolo Majoro. South Africa’s chances to win the Africa Cup of Nations may be slim according to many pundits, but celebrated former Coach Clive Barker doesn’t believe the national side will falter during their quest to become champions of Africa. With the final 23-man squad set thousands of South Africans are entering into discussion surrounding the national team’s recent performances and whether or not Bafana Bafana are able to recapture the glory of 16 years ago. However, the face of African football has changed since 1996, where only a handful of household names could be found plying their trade in Europe’s elite clubs. The competitiveness inherent in African football in 2013 is stronger than in 1996 when Bafana Bafana won their maiden continental championship. This means the task ahead of the national side is only tougher, even though they are playing at home once more, they will be facing teams which have talent beyond their own. “Football is now an oyster and almost every top side has an African player in it,” Barker told Spotong. Barker recognises the transformation of African football but will not discount South Africa’s chances to win the tournament in future. His fervent belief in the team may not be shared by many, but the former national coach has confidence in Gordon Igesund to turn the team around.